What is your background in coding? Did you learn how to code when you were a kid? I started learning how to code when I was in Grade 7. I started with learning HTML, and worked mostly with C and C++ before getting into university, where I got in touch with various other languages - I am a computer engineering major. What is your coding language of choice? I prefer Java, as I am more inclined towards back-end development. Can you tell us what your favourite part is about working as a coach at Hatch Canada? My favourite part about working at Hatch would be witnessing the excitement and joy from students, and the kind of ideas they have - along with the motivation to bring them to life. It inspires me. Why do you think learning to code is important? I think learning to code in this age is equivalent to learning how to read and write. Technology is the future of our existence! We rely on machines for about 60% of our routine activities, and this dependence is only going to increase. Since coding lets you communicate with machines, it’s a great thing to learn! How did you find Hatch Canada? Have you ever seen a child experience a moment where they get excited about coding? Oh, I experience it all the time. I would like to tell you about one student, Leo. He loves to code on the Hatch platform at home, and then shows all the projects he did when we meet for his weekly class. When I heard about this from his mother, she was really happy to see his dedication towards Hatch coding. He is so passionate about programming and Hatch, that in order to help him modify and make better projects, he borrowed books about coding from a library near his house and he reads them regularly. He's talking about coming to our camp, and I really hope he does! 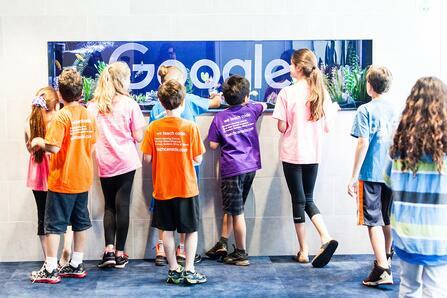 Want to get your child involved in the exciting world of coding and programming? It’s so simple to start. Click below to learn more about our amazing camps today, and email us at hatch@hatchcanada.com with any questions! Want even more information about coding? Check out one of our co-founders, Peter Kuperman, on CTV! !